When I moved to Des Moines I tried my best to make it feel like home. As I familiarized myself with my new surroundings I was drawn to the pastel enameled steel houses that I would see periodically. 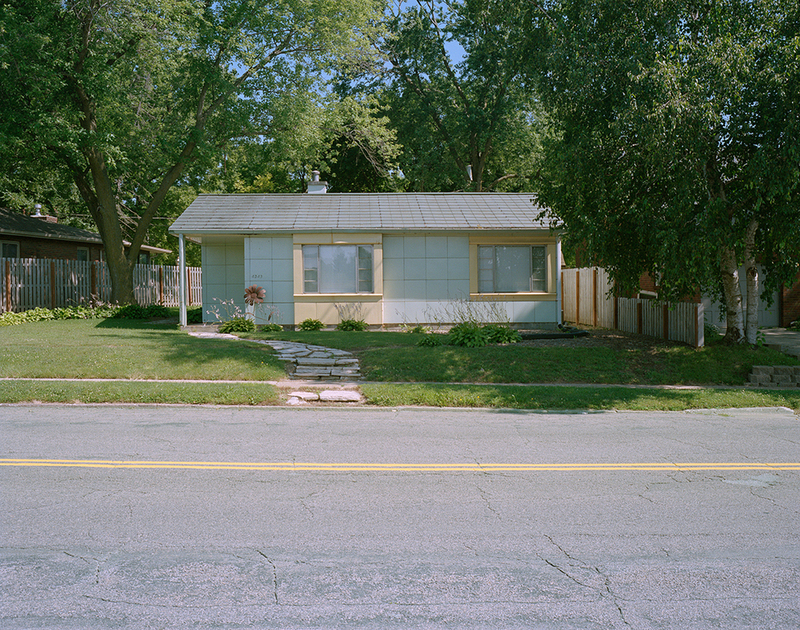 I soon learned that these prefabricated structures were called Lustron homes, which were developed in the post–World War II era for returning GIs. I longed to enter the Lustron homes and to meet their owners. I wrote letters to all of the Lustron homeowners in Des Moines, and was thrilled to receive responses. One by one strangers began to invite me into their homes. 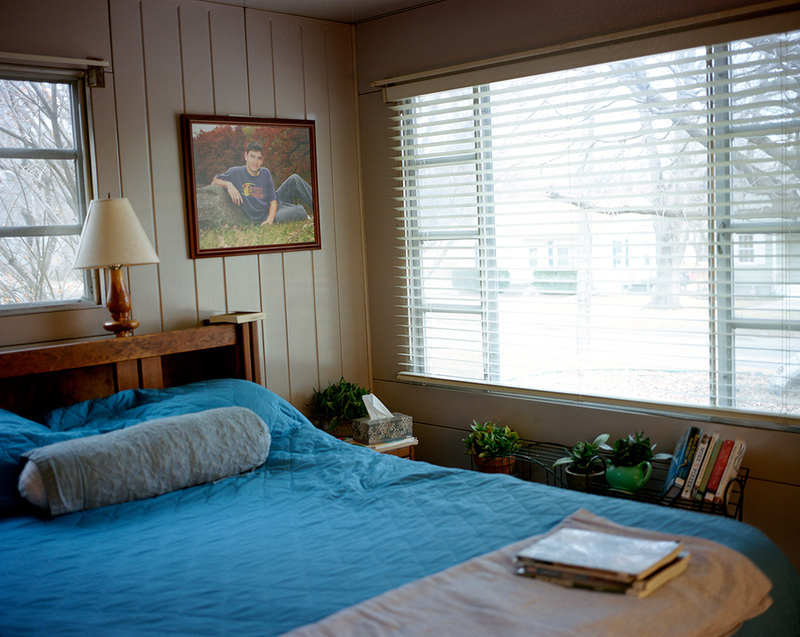 I made portraits of the homeowners and photographed the interior and exterior of each home on the day that we met. It was fascinating to see how homes with identical floor plans, square footage, shelves, doors and windows could be individualized by their owner. When I first started the series, I had convinced myself that befriending Lustron home owners was key to assimilating into Des Moines, however none of my subjects have become my friends.